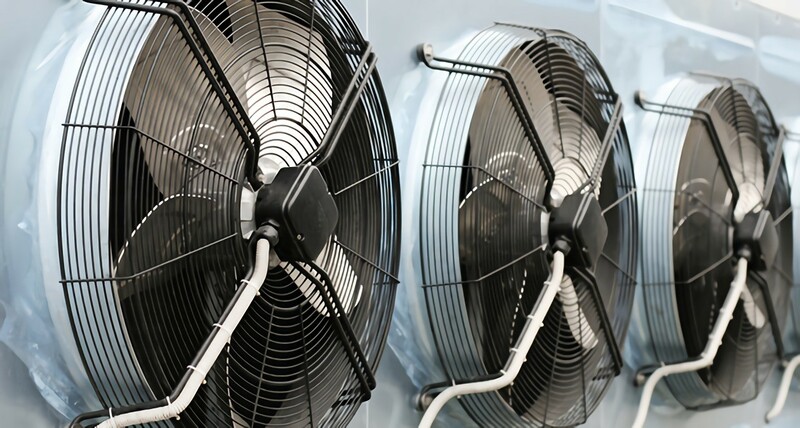 HVAC chillers use the basic principles of refrigeration to cool a building or equipment, such as the kind used in a laboratory or industrial setting. There are many types of chillers available on the market. This is an overview of the popular vapor-compression chiller. What Are the Components of an HVAC Chiller? Evaporator: Enables heat to move from the exterior water to be cooled into the refrigerant inside the component. Condenser: Transfers heat from the refrigerant into cooling water outside the system. Thermal expansion valve or refrigerant metering device: Modulates the flow and pressure of refrigerant. To understand how an HVAC chiller works, it is important to first know a bit about the basic physics of heat transfer. Heat transfer is the movement of heat from one place to another. Heat always moves from a hot area to a cold one. With HVAC training you learn this process can be controlled to achieve comfortable indoor climates. Insulation, for instance, slows the transfer of heat from the inside of a home to the outside. An HVAC chiller changes the physical state of refrigerant to transfer heat from one area to another. The laws of pressure-temperature relationship state that increased pressure on a refrigerant increases its temperature while decreased pressure lowers its temperature. As the refrigerant circulates through the HVAC chiller, various components change its pressure and temperature, causing it to boil into a gas and condense into a liquid. During the change of state from liquid to gas, the refrigerant absorbs heat, and the refrigerant releases heat when it returns to its liquid state. Compressor to Condenser: The compressor sends hot refrigerant gas to the condenser, where the refrigerant’s heat is transferred to the cold water outside the component. As it cools, the refrigerant turns into a liquid. Condenser to Metering Device: The metering device limits the flow of the liquid refrigerant causing it to drop in pressure which reduces its boiling point. The refrigerant quickly boils into a gas in a process known as adiabatic flash evaporation or auto-refrigeration. Metering Device to Evaporator: As the refrigerant changes state into a gas, the metering device sends it to the evaporator. While vaporizing, the refrigerant absorbs heat from the warm water outside the chiller and cools the surrounding area. Evaporator to Compressor: The warm refrigerant gas is sent from the evaporator to the compressor, where its pressure and temperature are elevated. A hot gas again, the refrigerant travels to the condenser, releasing its heat and beginning the cycle again. Technological advances will have an impact on how HVAC chillers function, raising both their efficiency levels and lifespan. Recent technological breakthroughs include the creation of oil free chillers with magnetic or ceramic bearings and heat recovery chillers that can warm a room using low-grade building heat. Those studying HVAC in a trade school will likely work with a variety of chillers upon entering the field, including these new, high-efficiency models. HVAC chillers can provide up to 1,000 tons of cooling energy. Industrial chillers are generally installed in a mechanical equipment room, beside an industrial process, or outside the building. Residential HVAC chillers can be installed in a storage tank next to the home. If you would like to learn more about these principles in order to pursue a promising career in the field of HVAC installation, maintenance, and repair, contact The Refrigeration School today.